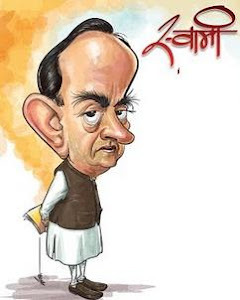 Know your Swamy: Withdraw Bharat Ratna award given to him( Amartya Sen)! Withdraw Bharat Ratna award given to him( Amartya Sen)! I write this letter to draw your attention to the conduct that is unbecoming of a Bharat Ratna awardee, namely, Prof. Amartya Sen. In the Nalanda University issue, irregularities have become multi-dimensional and which threaten to scuttled the very existence of the University and raise serious issues about the proposed Nalanda university. It will be appropriate for the PMO to call for a report on the various allegations, particularly Mr. Amartya Sen’s unbecoming conduct in the affairs of the University. I also wish to draw your attention to the reported statement of Mr. Amartya Sen made in Britain sometime ago where he said that “Christian schools” are perfectly acceptable in Britain because they have a long tradition of imparting good education. He called for closing down all other including Hindu denomination schools in the U.K. to ensure a single British identity. While it was the NDA Government which decorated Amartya Sen with Bharat Ratna, nevertheless your Government has the responsibility to see that those who are bestowed this highest award continue to act in a manner consistent with that award. Therefore, I urge you to initiate necessary action to withdraw Bharat Ratna award given to Mr. Amartya Sen.
Let me also add that one of Amartya Sen’s family companies has been involved in the auctioneering of the 3G Spectrum about which I shall apprise you later. It may soon blow up as a scam. Because he (Dawood) wants it!